It is time to start planning the 2nd annual Autumn Smoke Herf - ASH 2008. Last year was a success for a first timer, and i hope this year will be even better. I just thought i might give you all a heads up and maybe some time to think if you want to be a part of it all... All help and all guests are always welcome. cigar smokers to enjoy the good life and to share the passion. Please, get back to me as soon as you can, if you would like to participate in a way or another. I am open for all suggestions. As some of you might have noticed already, my blog has moved from the worldofcigars.blogspot.com to a new worldofcigarsblog.com address. Competition will be open at least until the end of September. Winner will get a prize including perhaps cigars and accessories, but i have not thought that through yet (for this i am sorry). You can send me the designs via e-mail (contact me tab). Does this sound fair? did i forget anything? I had been looking for a good quality smoking hat for a long time. 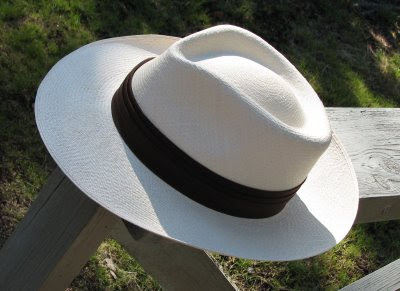 As i happen to own lots of caps and wool hats, i was closing down to get a panama hat. 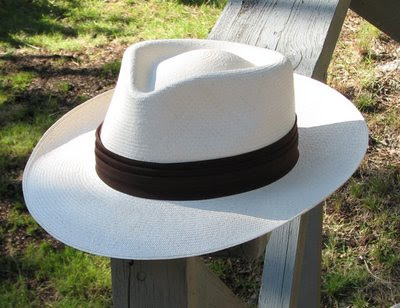 Fortunately for me, Casey Dazell at Panama Hats Direct jumped to my rescue and started to consult me on having a right kind of a hat. 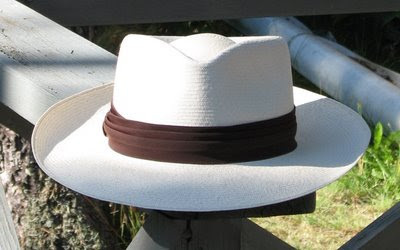 After a while, i came to own a gorgeous hand made Havana styled hat with 3 inch brim and "fino" texture. 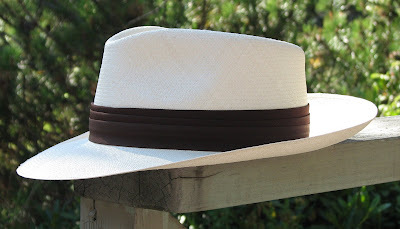 The band is made of silk, and beautifully compliments the color of the hat. A beautiful, high quality hand made hat... Thank you Casey! the problem is solved now however, enjoy the blog!